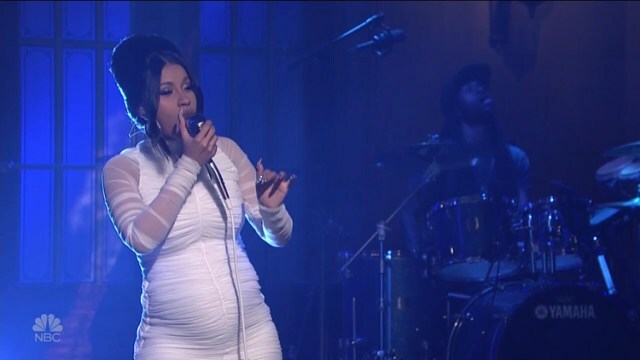 HipHop singer Cardi B is pregnant.. and this has been confirmed after the flaunted her growing baby bump on Saturday Night Live while performing “Be Careful”. The rapper had been dodging rumors about a pregnancy and trying her best to hide her belly from the public. Meanwhile, Cardi has revealed why she stayed with Offset even after he cheated. Cardi B says she is not without sin, and it is for this reason she continues to stay with her fiance, Offset. Recall that the Migos rapper’s cheating scandal with a South African model broke the internet weeks, stirring major conversation. The video made rounds on the internet for days, bringing Cardi a lot of embarrassment, and fans urged her to call off their relationship. But she stayed. Now, in new interview with Cosmopolitan, she is explaining why she chose not to leave Offset. I don’t have low self-esteem,” she told Cosmopolitan. “I know I look good. I know I’m rich, I know I’m talented. “I’m not your property. This is my life…I’m going to take my time, and I’m going to decide on my decision.”However, she agreed that what Offset did was not right. Everybody got different beliefs and different religions and were raised differently, yet you also supposed to be careful you don’t offend somebody. Everybody gets bothered about everything.